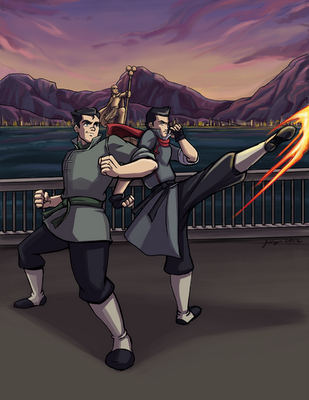 Probably am preaching to the choir here but 'Legend of Korra' is AWESOME and all should be watching it! The storytelling and world building is amazing, the characters are awesome, and yeah... great series so far. 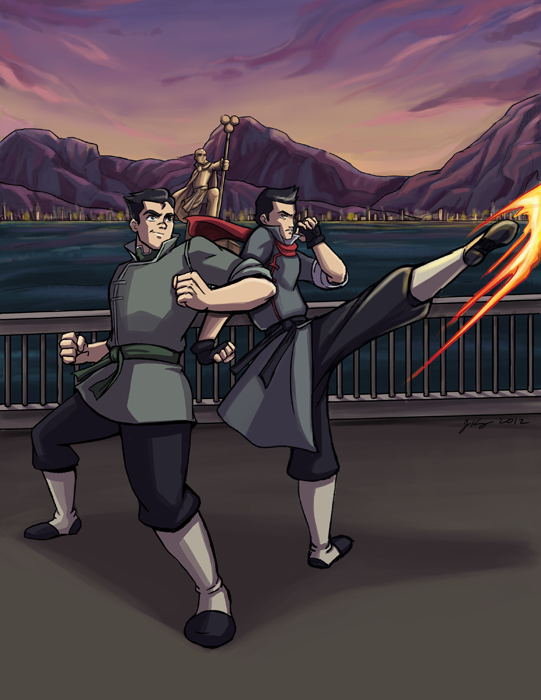 I really love the two bending brothers, Bolin is charming and hilarious, Mako is basically Batman with a younger brother, what's not to love? Definitely need to draw more fanart of these characters. Wow, the background and the sky behind them look amazing!